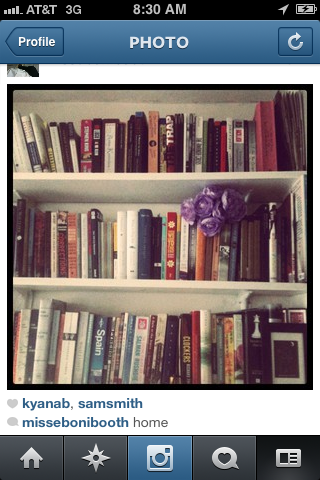 This entry was posted in books and tagged books, couch surfing, instagram, missing my books. Bookmark the permalink. You should be glad you don’t work in book publishing, ’cause I do, and consequently have way too many books. Hey, the Sunday Night HK gang misses you, Eboni!